An employee is to be paid a 'Field Bonus' for each hour that they work. This allowance is not eligible for super payments. 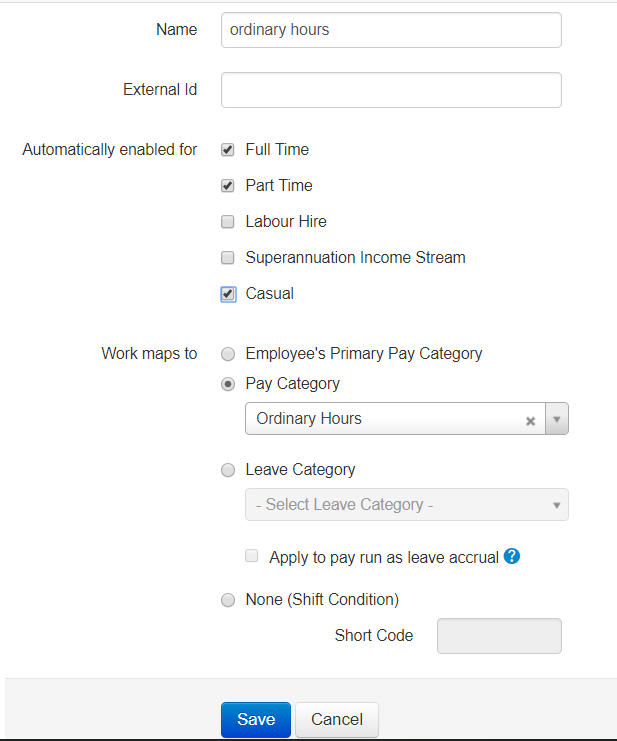 Configure the Field Bonus pay category as shown below. Set the Super Rate to 0%. Configure your pay conditions. Refer to our article on pay conditions for more information. To handle the field bonus, we'll add an allowance for each hour of 'Ordinary Hours' worked. Once your rules are set up, be sure to activate them. 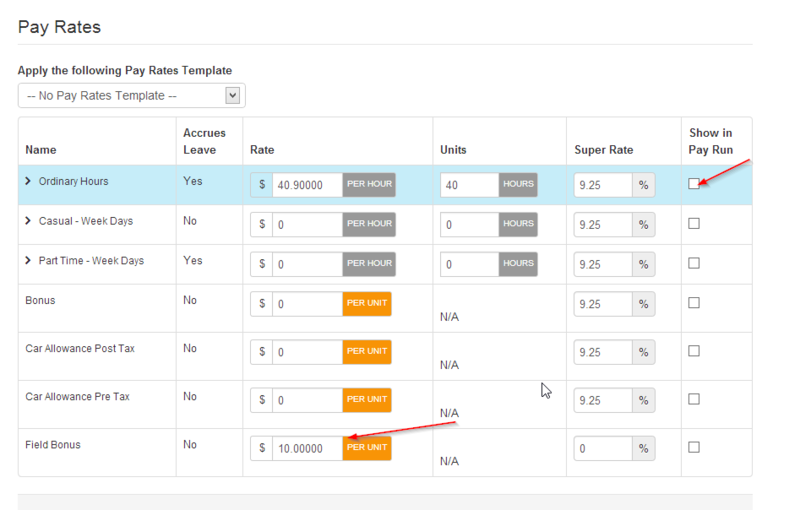 Assign a rate for the field bonus. Additionally, if all of the work for this employee is coming in via timesheets, untick the 'Show in Pay Run' checkbox for the Ordinary Hours pay category. 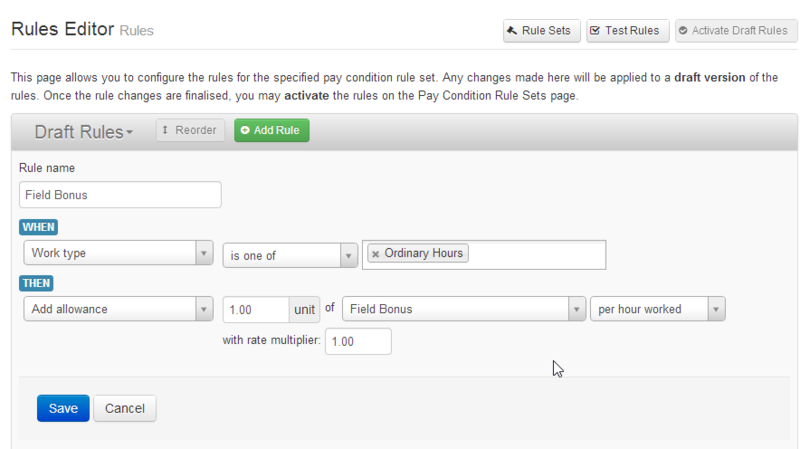 Timesheets entered using the 'Ordinary Hours' work type will now be eligible for the Field Bonus. Be sure to approve the timesheets so that they can be imported in the pay run. Once the timesheets are imported into the pay run, you'll see that a Field Bonus has now been added for each hour worked. 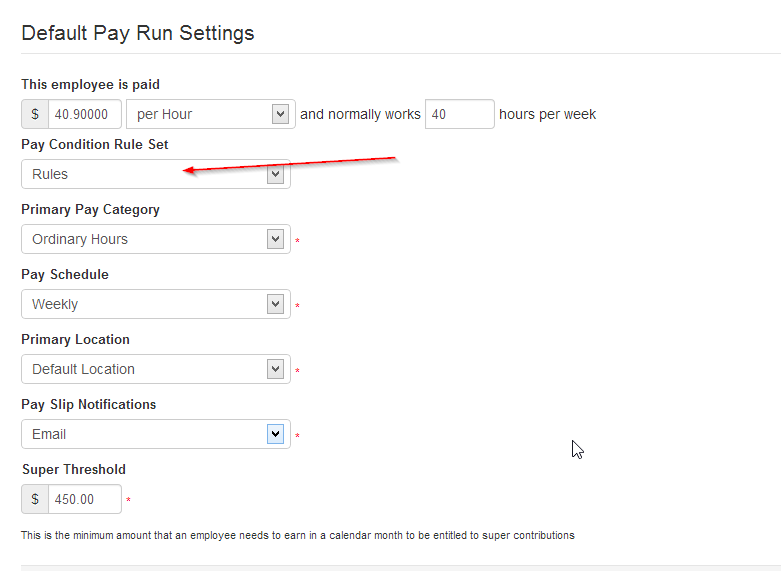 This article shows how you could go about configuring a Field Bonus using Pay Condition rules. Combined with other rules, you can automate many parts of your typical payroll process.